Star Structures calf shelters are built on skids to allow for easy repositioning whenever necessary. Heavy rings and stout skids make moving an easy task. 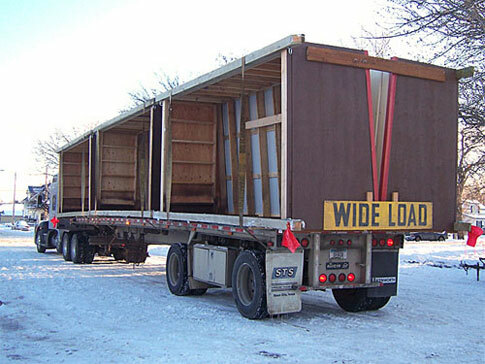 Our Standard Size is 8' x 16' — Custom sizes are available upon request. 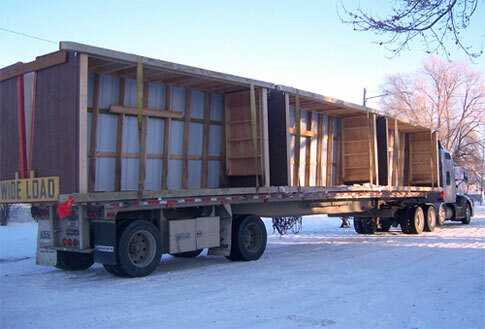 Six custom calf shelters are loaded on this semi truck, on its way to a customer in eastern Montana.